Here is my first attempt at a finished motion comic. The transitions after the page turns are super choppy, but otherwise I’m satisfied. 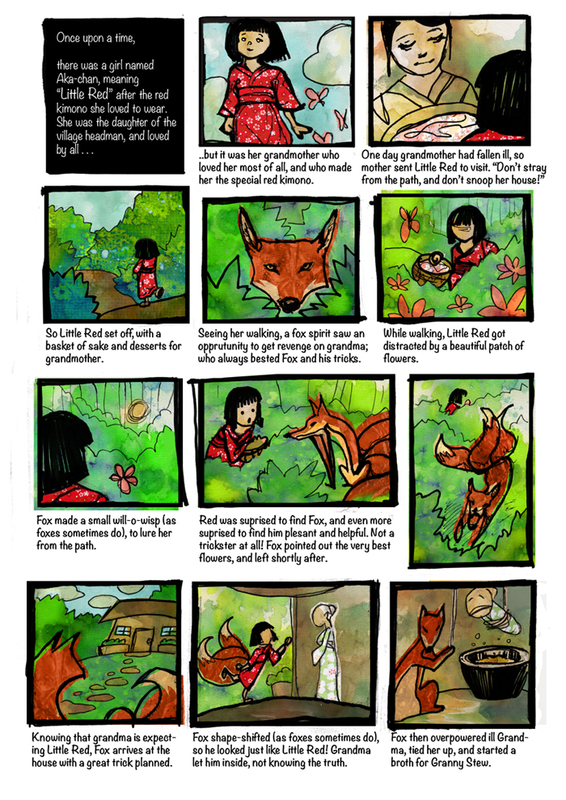 Comic: A fully rendered comic of an updated version of an old fairytale. I chose Little Red Riding Hood, using a Japanese spin. The fox is a Kitsune – a type of fox spirit known for being able to shape-shift and create will-o-wisps. 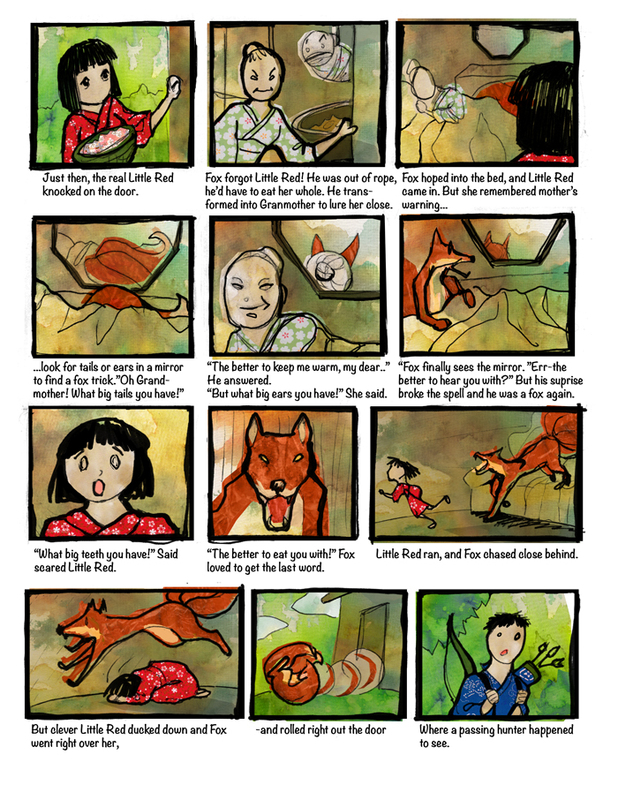 It was also inspired by a Japanese version of rock-paper-scissors, where the fox beats the village leader (here represented by his daughter-little red), hunter beats the fox, and the village leader outranks the hunter. 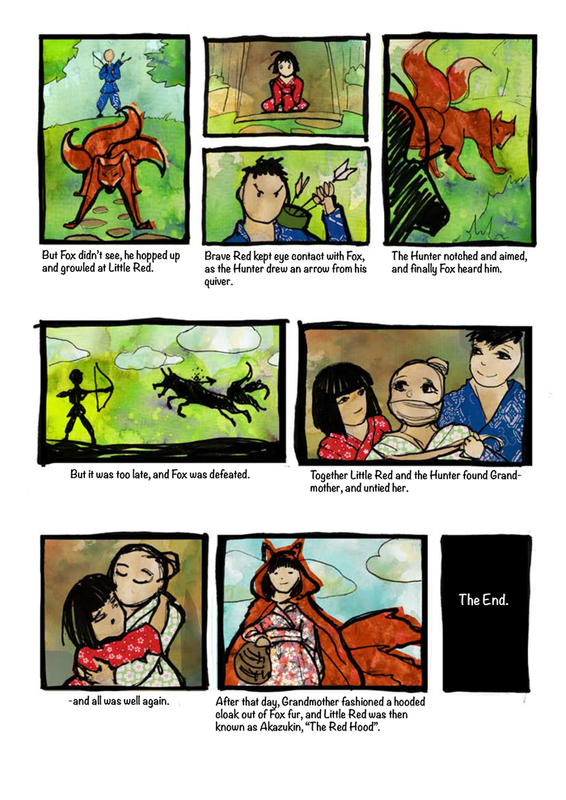 This entry was posted in Animation, Digital, Watercolor and tagged comic, Japanese, kitsune, Little Red Riding Hood, Motion Comic. Bookmark the permalink.